Infrastructure growth is on the front page of every developing country in Asia, especially China, as they come to the realization its importance as an economic driver. Simultaneously, additional sources of finance from regional powers, development institutions, and commercial markets also emerged over the decade with emphasis to finance such infrastructure projects which are typically high risks and have long gestation periods. What does this $1 trillion per year worth of estimated infrastructure demand mean to you as a young professional? Pang Yee Ean, Director General of Asian Infrastructure Investment Bank, is joining the closed door chat to discuss the above and enlighten you of role of AIIB. He also wishes to find out about your interests as a Young China Watcher. All views expressed are in the personal capacity of the speaker and does not represent any organisations nor entities. The talk is a members only closed door session that is run under Chatham House rules. 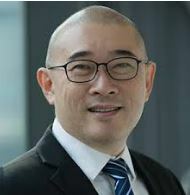 Yee Ean, a Singaporean, is the Director General, Investment Operations, of Asian Infrastructure Investment Bank (AIIB). He has responsibilities to strategically identify and execute infrastructure investments in the region for AIIB. He leads a team that has invested and manages an active portfolio of more than 20 investments. He started the Private Sector Financing Operations of the Bank, and is currently focusing on Energy and Urban infrastructure, investing in both Sovereign and Private Sectors.